HUANG Xiaoyun, GAO Feng, XU Guoyan, DING Nenggen, XING Longlong. 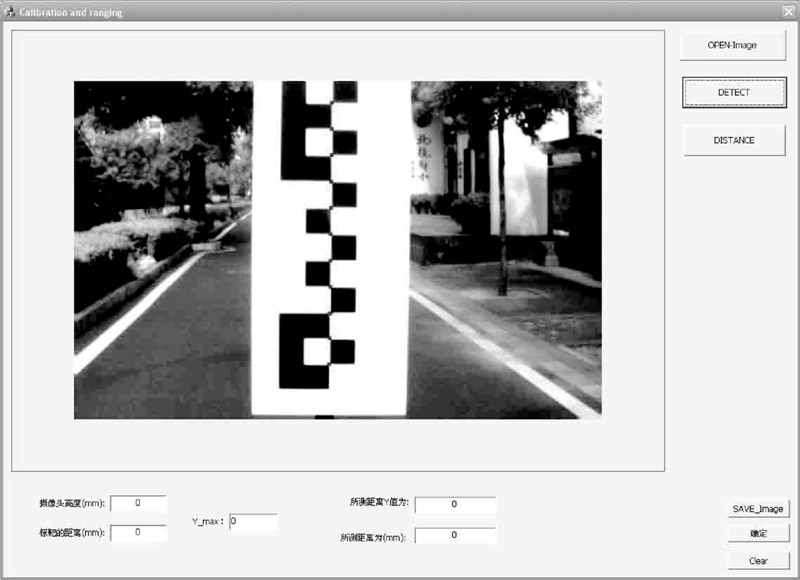 Depth information extraction of on-board monocular vision based on a single vertical target image[J]. 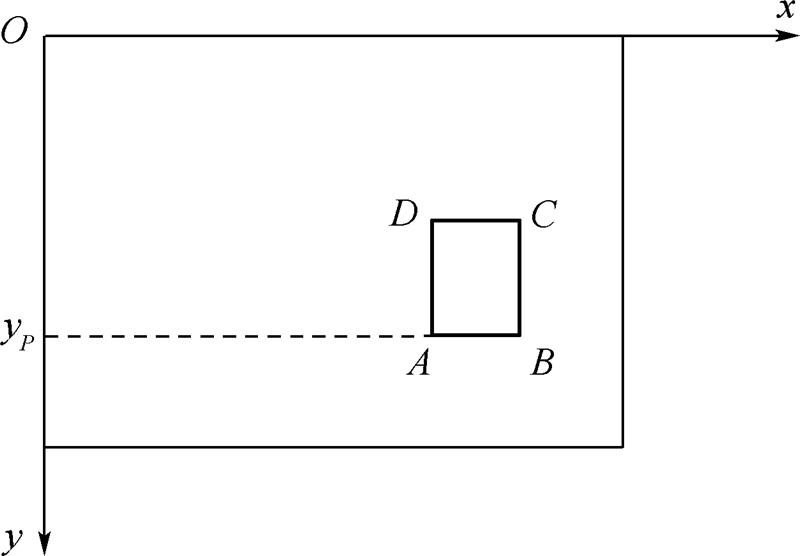 Journal of Beijing University of Aeronautics and Astronsutics, 2015, 41(4): 649-655. 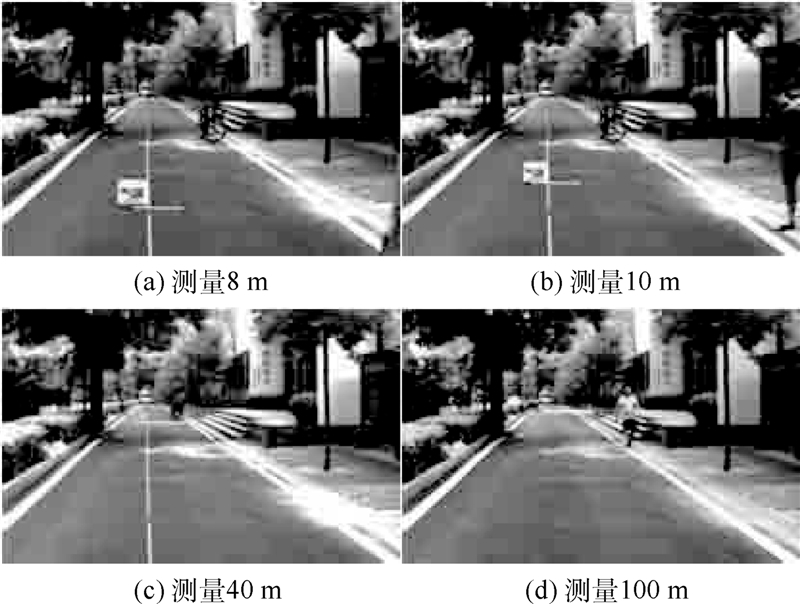 Abstract:Calculating obstacle distance for on-board monocular vision system on intelligent vehicle was investigated when the obstacle has been detected. 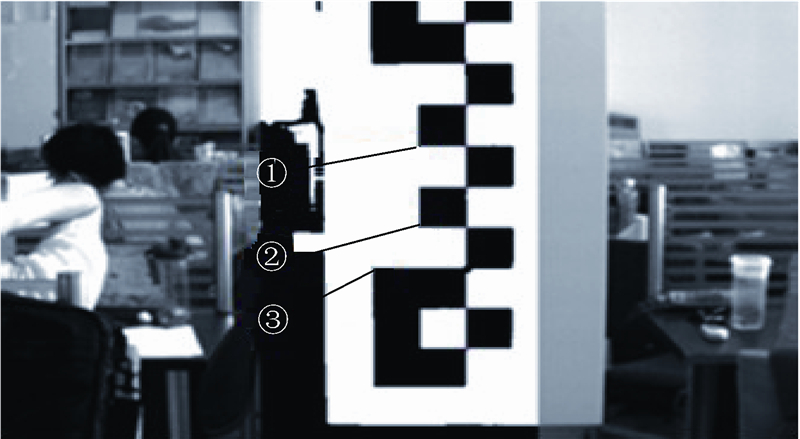 An extraction method of depth information only using a single target image without any internal camera parameters was developed. 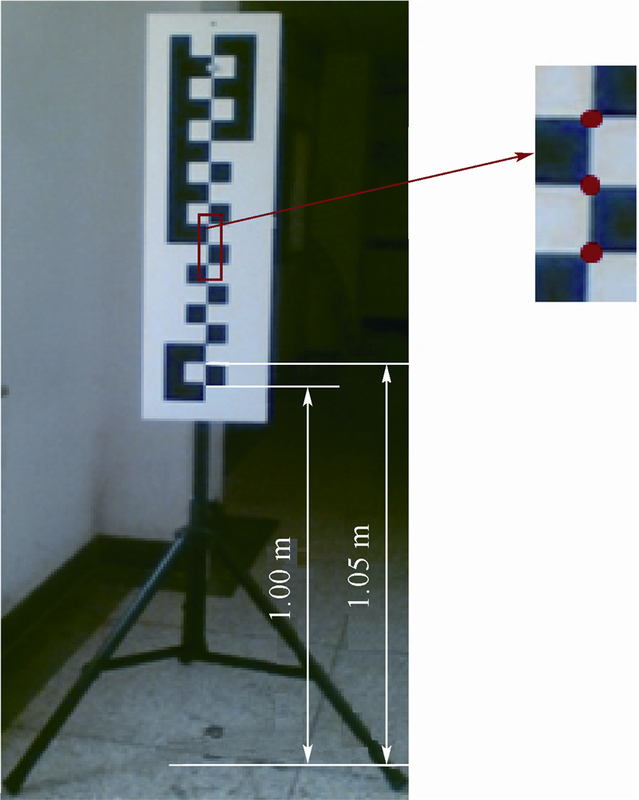 The mapping relation between image row pixel values and the actual imaging angles was established with the image of vertical target, which was placed in the front of a camera. The obstacle depth information was extracted in real time by combining the projection geometry model. Given the characteristic of vertical target image, an algorithm of sub-pixel corner detection and location was designed, which includes region of interest setting, template matching, candidate points clustering and screening and precise location, etc. Experimental results show that the method has high precision and real-time performance. Compared with the method of putting reference on the road, it does not need large calibration site and could avoid the data fitting error. 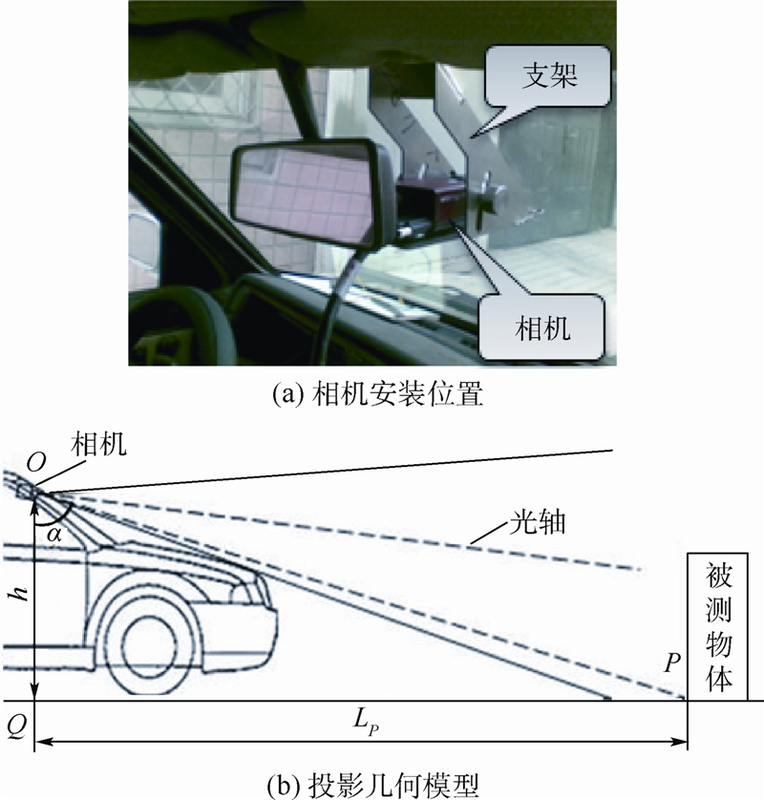 And the method also has a simple calibration procedure with a single image, which is suitable for practical application. 目前单目视觉系统一般采用对应点标定法(简称标定法)来获取待测物体的深度信息[5, 6, 7, 8, 9].该方法通常是利用棋盘格标定板标定出相机内外部参数后,结合投影模型,求解出图像坐标系与实际成像角度之间的对应关系,从而得到深度信息.此方法需要多次采集不同方位的标定板图像,并且精确记录每个点在世界坐标系和图像坐标系中的对应坐标,标定精度对于测量精度影响相当大,某些参数的标定误差会在测量中被放大数十倍.文献则是在路面摆放参照物并测量其距离,选择合适的数学模型,拟合参照物距离和像素之间的对应关系,再利用此关系实时提取深度信息.此方法在工程中也有广泛的运用,但需要较大的场地,且精度会受到长距离手动测量误差及拟合误差的影响.Wu等研究了一种激光与单目视觉相结合的测距方法；王荻等则是利用光电经纬仪和GPS获得相机位姿信息,然后代入定位方程计算距离；另外,还有通过样本训练或面积映射关系等方法来实现单目深度信息提取的. 立式标靶如图 3所示,标靶以一定高度竖直放置于地面,靶面上共有17个共线角点,其中最低角点距离地面的竖直高度为1 m,且相邻角点之间相差0.05 m.利用图 3所示的立式标靶确定纵坐标像素与实际成像角度之间的映射关系α=F(y). 例如,采集图 8时,距离D=1 500 mm,高度h=1 320 mm,计算得到像素值与实际成像角度的映射关系如图 10所示.可以看出,实际成像角度与y方向像素的映射关系可以近似为一条直线,但是为进一步提高精度,采用相邻点的分段直线来表示映射关系,从而减少拟合误差. 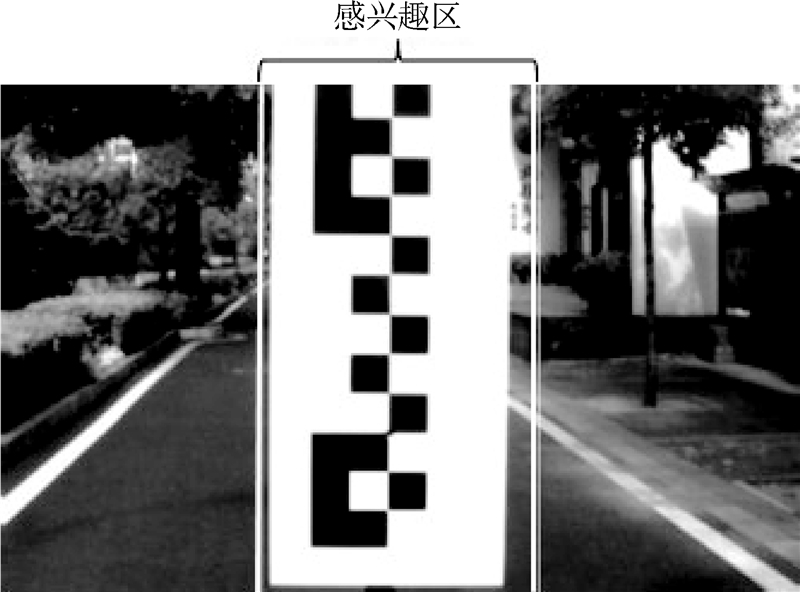 为验证方法的可行性及精度,在VS2010+OpenCV2.2环境下,按照上述方法编写程序并调试后,分别进行了静态及动态实验.将CCD(Charge-coupled Device)相机安装于车内后视镜处,俯仰角为5°,距地面高度h为1 320 mm,立式标靶的靶面与相机距离D为1 800 mm.图像分辨率为752×480. 首先将标靶放置于相机前方,使立式标靶的角点在图像的感兴趣区内.运行编写好的程序,完成角点检测及定位,标靶角点检测及定位界面如图 11所示,亚像素级角点坐标及对应实际成像角度如表 4所示.然后将实验被测物体按不同的距离放置于路面,并记录其实际距离值.选取采集的被测物体图像,手动选取出物体底部位置,通过上述程序运算后得到被测物体的深度信息.部分实验图像如图 12所示,实际距离和计算距离对比如表 5所示. 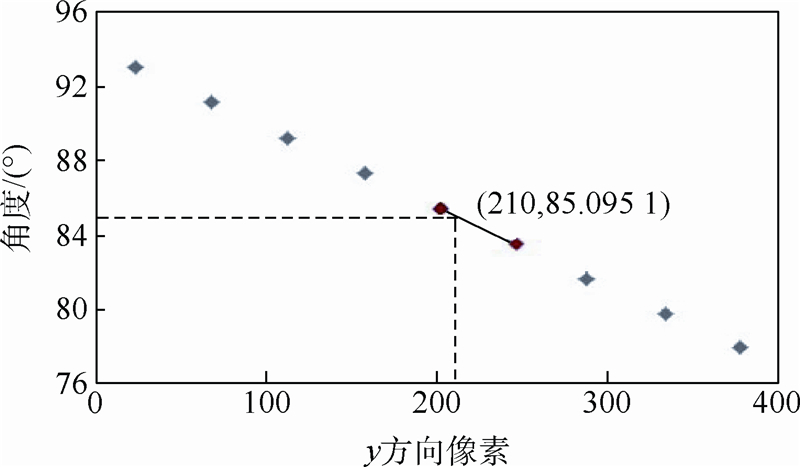 从测量结果中可以看出,该方法总体误差很小,一般小于1%.由于80 m时误差突然达到2.302 9%,所以又进行了进一步分析.将y像素值调整为187,利用表 4的映射关系,计算得到深度值为78.262 5 m.因此一个像素所占的距离为3.579 8 m,而且这个数值会随着实际距离的增加而变大.所以,距离越远对障碍物检测精度的要求越高,可能的误差也越大.但对于智能车系统,离本车越远危险系数越低,所以测量的精度要求也可以有所降低.总的来说,实验结果显示上述方法已经可以满足系统的要求. 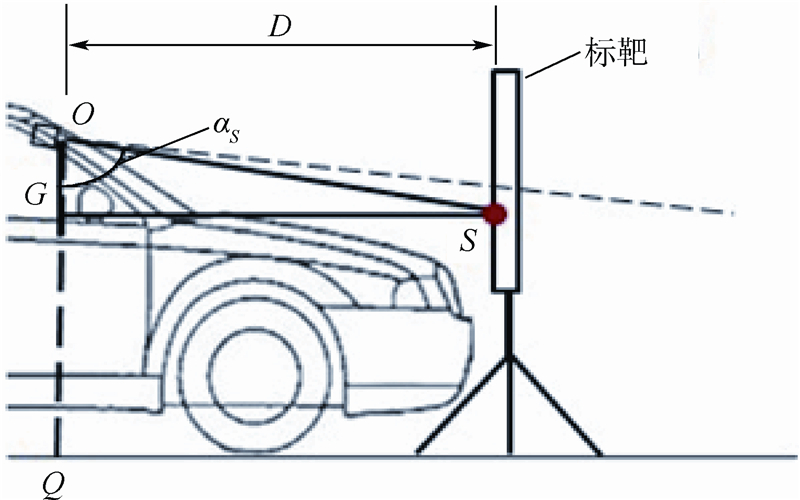 Journal of Beijing University of Aeronautics and Astronsutics, 2015, 41(4): 649-655.